This buffet is much more in line with what you’d find at a casino buffet. 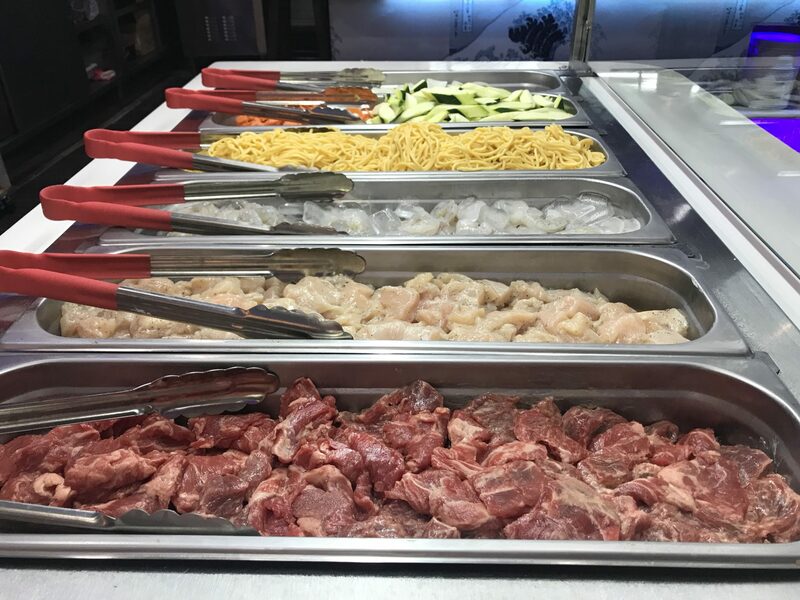 At Osake you’ll find crab legs, jumbo shrimp, New York Strip Steak, and lobster on the dinner buffet, along with hibachi to order, a wide variety of fresh sushi, and dozens and dozens of Chinese and Japanese dishes, fresh fruits and vegetables, and desserts and ice cream. 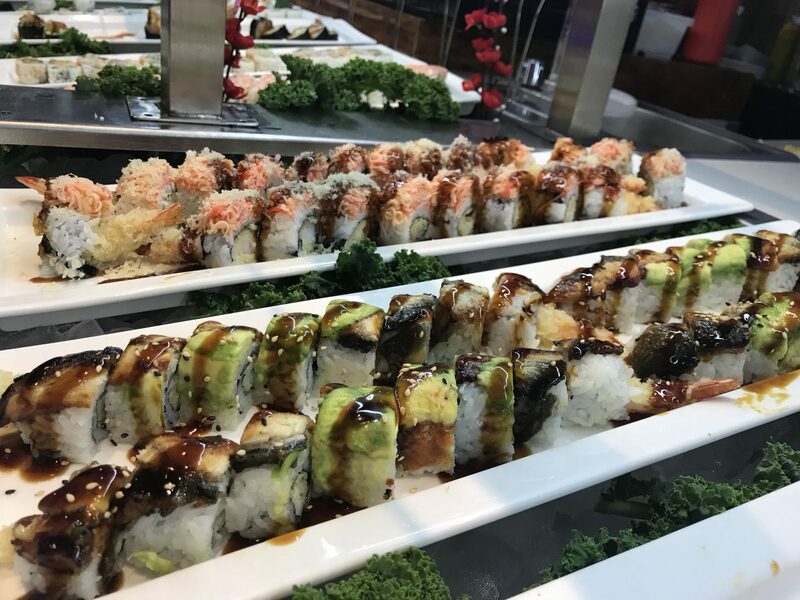 Osake has taken over the space of the ill-fated Asian Garden restaurant in the Target shopping center near the Avenues after completing over a half million dollar renovation. The multicolored LED lighting adds a fun element to the environment, and the separate buffet areas create an easy flow for diners to see what is offered and find their favorites. Sushi and hibachi are included for all lunch and dinners. That’s a heck of a deal! And the vision of a high end Japanese buffet is something we can get behind. 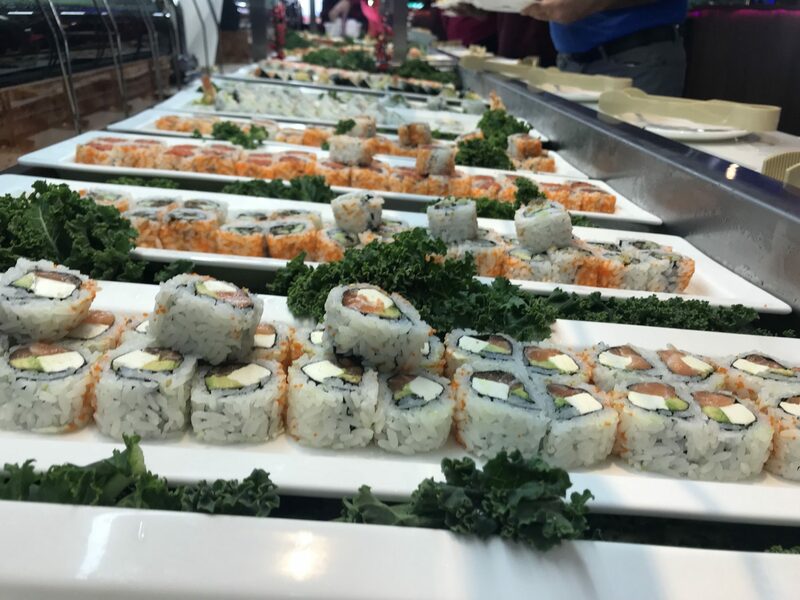 Welcome to the Jax food scene, Osake Buffet! Tagged Alcohol Serving, asian, asian food, buffet, Dinner, Good for Groups, Hibachi, Japanese, lunch, Sushi Restaurants. Bookmark the permalink.